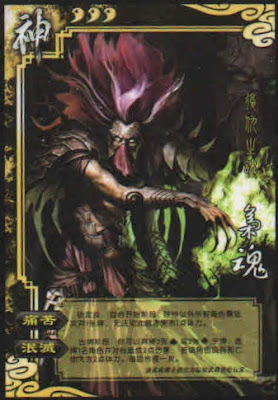 At the beginning of his turn, Xiao Hun can make all other players discard a card. If any player cannot, they lose one health. Once per turn, Xiao Hun can discard two spades or two clubs from his hand. He then causes two damage to any player. If the target does not die, Xiao Hun loses two health. For "Pain", if a player has any hand cards, they must discard them. They do not have the option of losing the health instead. Only players that cannot discard a card lose health.